In news that comes as no surprise to this socially inept scientist, a new study in Psychological Science reveals that people don't actually know what they're going to say as they're saying it. In fact, we rely on auditory cues from our own voice as we are speaking to interpret our meanings. It has generally been believed, both by researchers and the average speaker, that we start with a clearly defined and fully-formed message before speaking it aloud. An alternative hypothesis, supported by this study, suggests that our messages are in fact a bit more fluid. That "speech is not just the dutiful translation of a well-defined preverbal message. Rather, through rapid, on-line interaction between the speaker and the conversational context, competing and approximate speech goals arise and become increasingly specific during the articulation process." The researchers used the Stroop colour-naming test (that's the one where you read the name of a colour written in a different colour and you need to state the colour of the text) to see what would happen if a subject said one word while hearing themselves say another. The experiment was carefully controlled such that timing mismatch would not reveal the swicth to the subjects. The study participants needed to hear the word within 5 - 20 milliseconds of speaking. The idea was that if speech is indeed completely preformulated, then regardless of what word the subjects hear themselves say, they will know what they actually said and will immediately identify the discrepency between that and what they heard. If speech is dependent on auditory cues, however, the subjects might not notice the switch and may even believe they had said what they heard. Overall, 2/3rds of the subjects didn't notice the difference between what they spoke and what they heard and, of those, 85% actually believed they had said the word that they heard. In the context of the Stroop test, this is particularly interesting in that the subjects could be convinced, based on the auditory feedback, that they had named the colour wrong despite both intending to speak the correct answer and actually doing so. Of course, auditory feedback is not a necessary component of speech — as evinced by hearing impaired adults that can maintain normal speech patterns — but these results do suggest that when we can hear ourselves speak, we do tend to rely on it as a primary method of feedback. The authors propose that this research will be of use in studying things like aphasia and stuttering, where errors in auditory feedback are thought to play a role, as well as to similulate auditory hallucinations. They also make mention the interesting philisophical aspects of these results. You can check out the original study, Speakers' Acceptance of Real-Time Speech Exchange Indicates That We Use Auditory Feedback to Specify the Meaning of What We Say, here or you can read a nice Nature News summary of the findings. 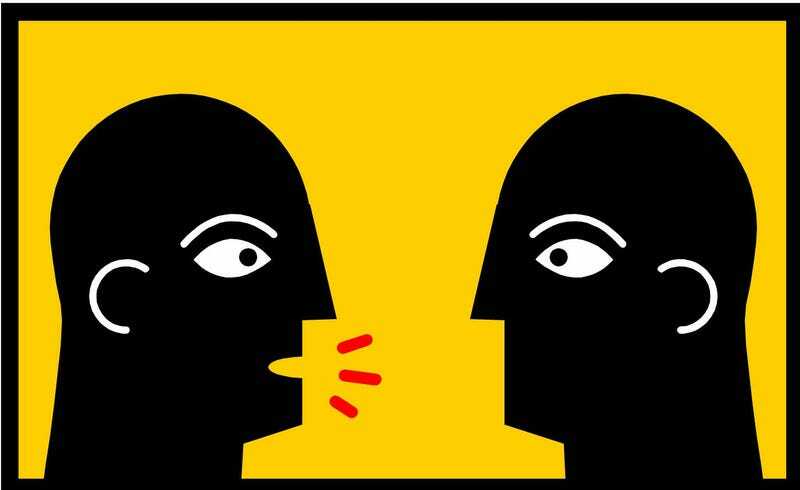 People&apos;s conscious awareness of their speech often comes after they&apos;ve spoken, not before.